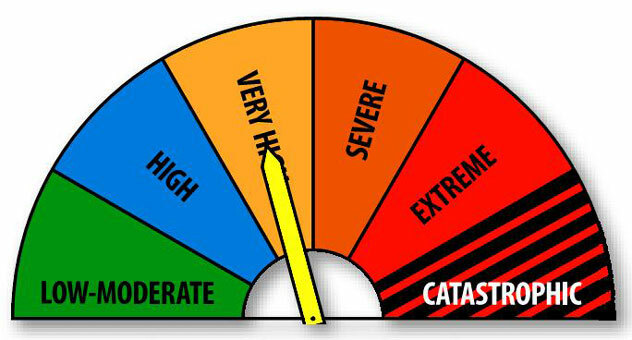 THE Bureau of Meteorology has forecast a very high fire danger about the upper Derwent Valley this afternoon. As of late last night the predicted maximum temperature at New Norfolk today is 32 degrees, followed by 34 degrees on Wednesday. Click here for updates. A top of 33 degrees is forecast for Ouse for the next two days, 30 and 31 at Maydena, and a cooler 24 and 25 degrees at Mt Field National Park. Check the state forecast by clicking here.